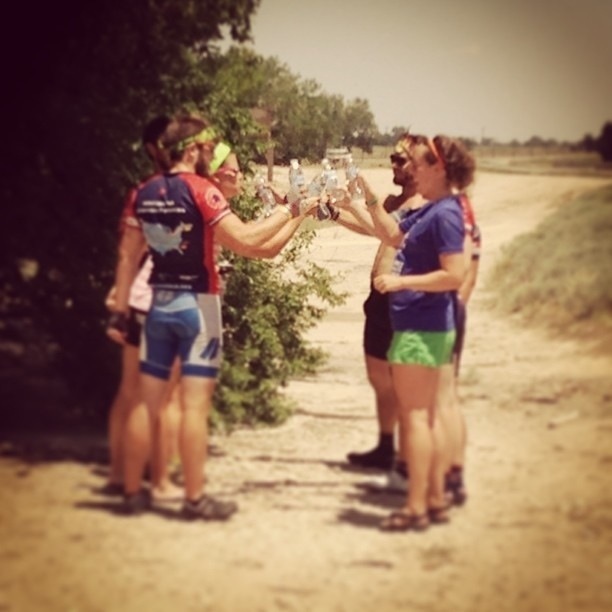 Day 39: Garden City, KS to Lamar, COLORADO!!!! 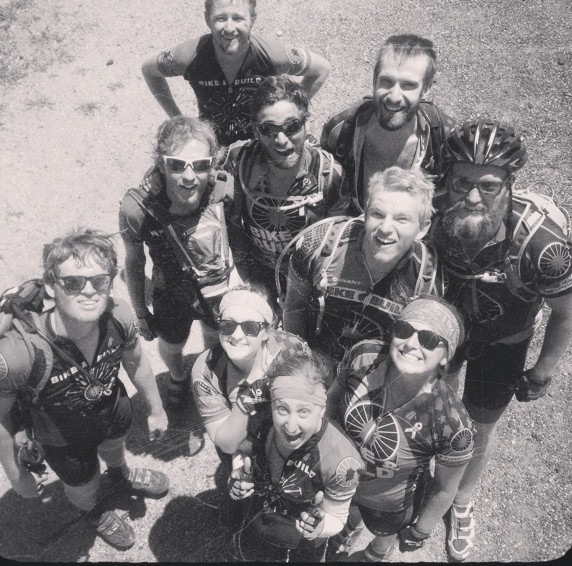 We woke up at 4am for our 102 mile day. Four o’clock in the morning always comes too soon, but we’re grateful when we get some cooler hours on the bike in the early hours of the day. Kansas always smells like cow poop. I really don’t know how people stand it. It’s one of the main reasons I was ready to be out of Kansas… Although we had heard that Eastern Colorado is just glorified Kansas. 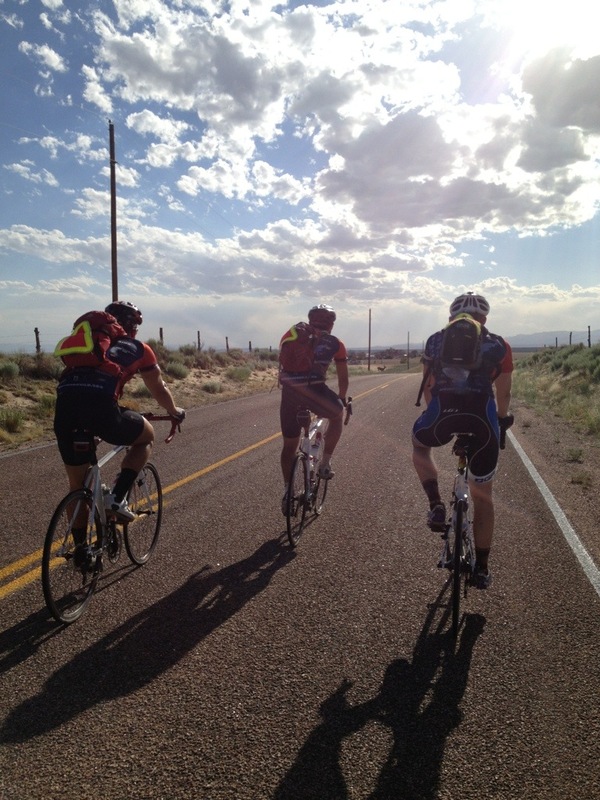 I spent the morning riding in a pace line with Scott, McWeens, Max, Sam, and Andrew. We decided we’d like to get to first lunch quickly so we didn’t have to spend the afternoon pushing it too hard in the heat. 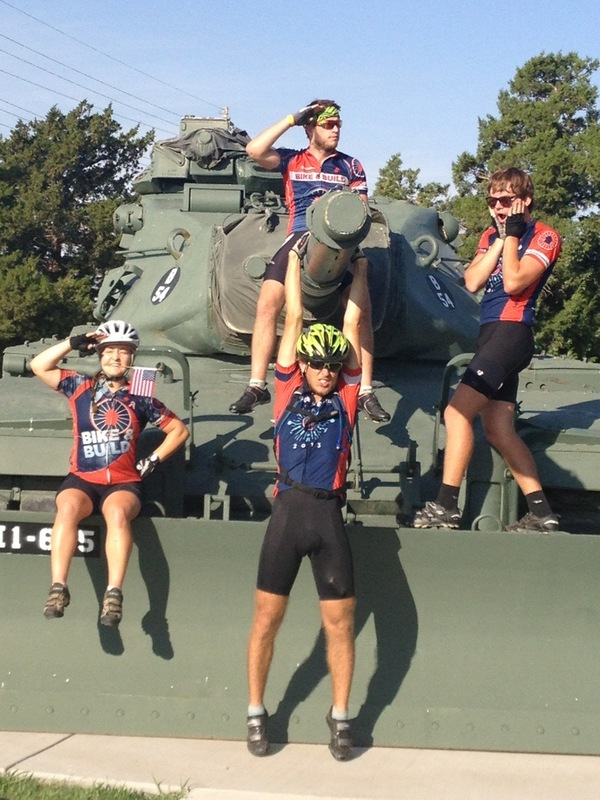 We found an army tank near a memorial site and decided it would be un-American to NOT take a photo there. We soon entered a new time zone! 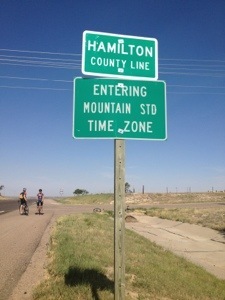 Mountain time zone!!! We got to a sign that said “Leaving Kansas, Come Again”. I will never go back there. And then there was the sign for COLORADO!!! We were STOKED to see that sign, which all of us had been longing for all trip, and it gave us the energy to complete the remainder of the century ride that day! 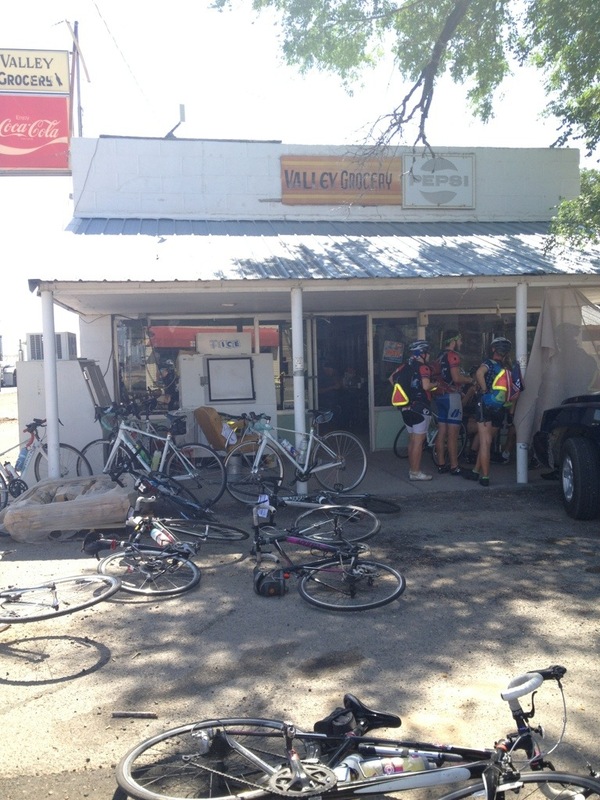 Day 40: Lamar to Rocky Ford! 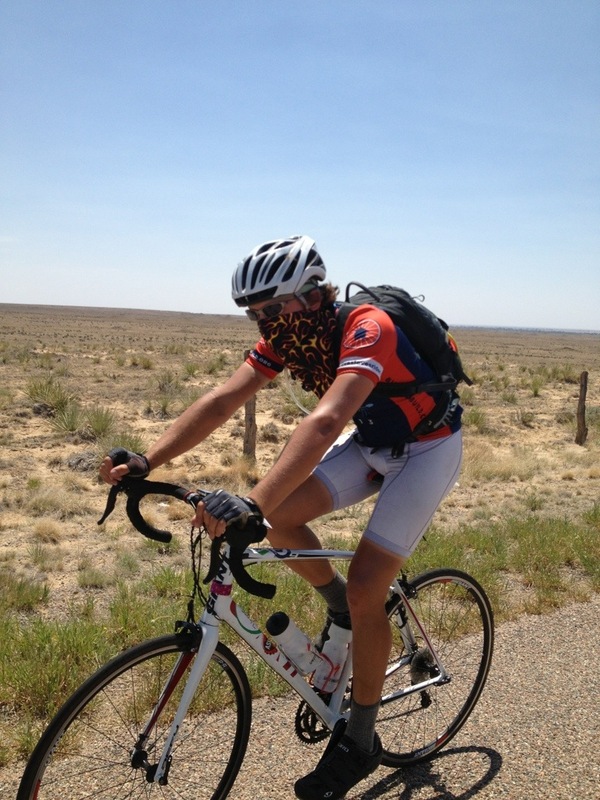 About 65 miles, so a fairly easy day! 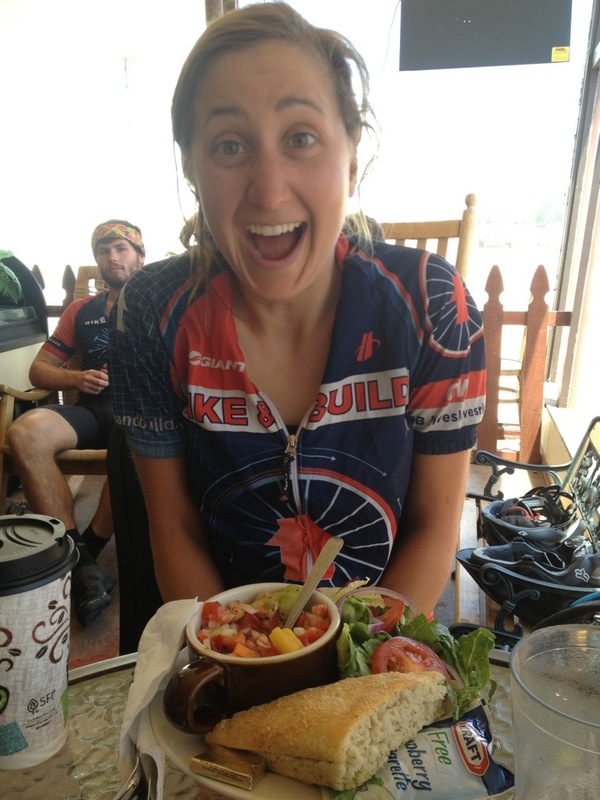 It was an easy ride too… Not too hilly or anything. We stopped at a little gas station along the way. 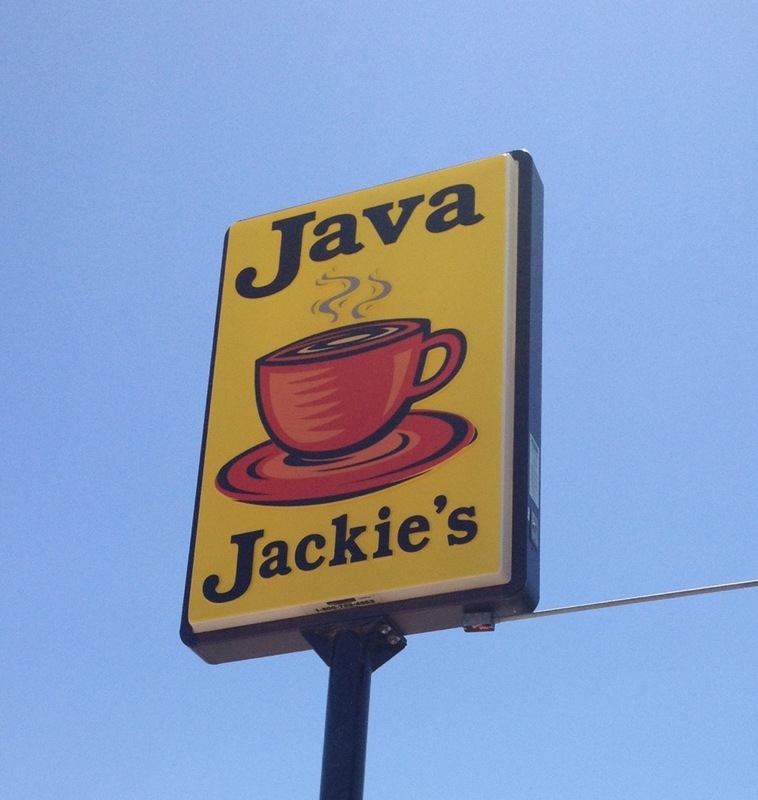 A big group of us decided to get lunch at a restaurant called Java Jackie’s that had been recommended to us by riders of past NC2SD Bike & Build trips. We thoroughly enjoyed sitting around, drinking iced coffee, reading the newspaper (we’re in such a B&B bubble that we don’t know what’s going on in the world), and eating gazpacho soup! We got to lunch and decided that we needed to drink water rather than eat more food. So we did what we call a boat race: we get in teams of about 3 or 4 and then stand across from one another; then we chug water in a line, racing to the end. This game is great for separating the good girls from the frat boys. I spent the rest of the afternoon riding with Claire. 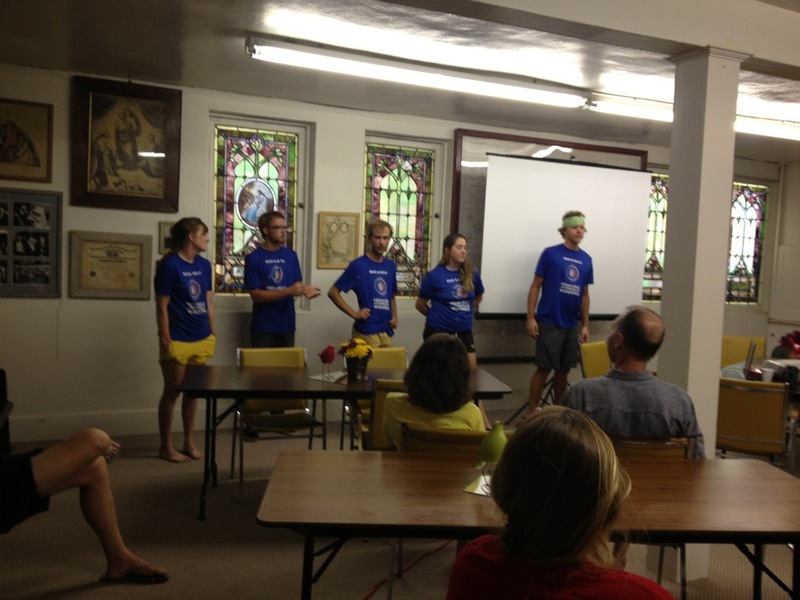 We were fed a delicious dinner at the host, and we gave a presentation on Bike and Build. After going to a bar to grab a drink, where a local bought us a round, we went to bed and prepare for a 5am wake up. 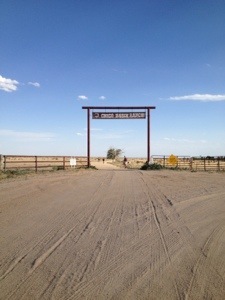 Day 41: Rocky Ford to some ranch/campsite outside of Pueblo. It was about a 70 mile ride. I began the day riding with a group I don’t normally get to ride with: Scott, Conor, Regular Ryan, and McWeens (they’re usually too fast for me, but since they were “taking it easy”, I rode with them at what I consider to be my medium pace). We decided to start chalking trivia questions to our teammates riding behind us. The first one was a history question: “What happened on June 6, 1944?”. The next one was mainly for the girls on our trip: “Daniel Rusco or Sam Murray?” All of us girls undeniably have a crush on both of these boys, so it was the million-dollar question. 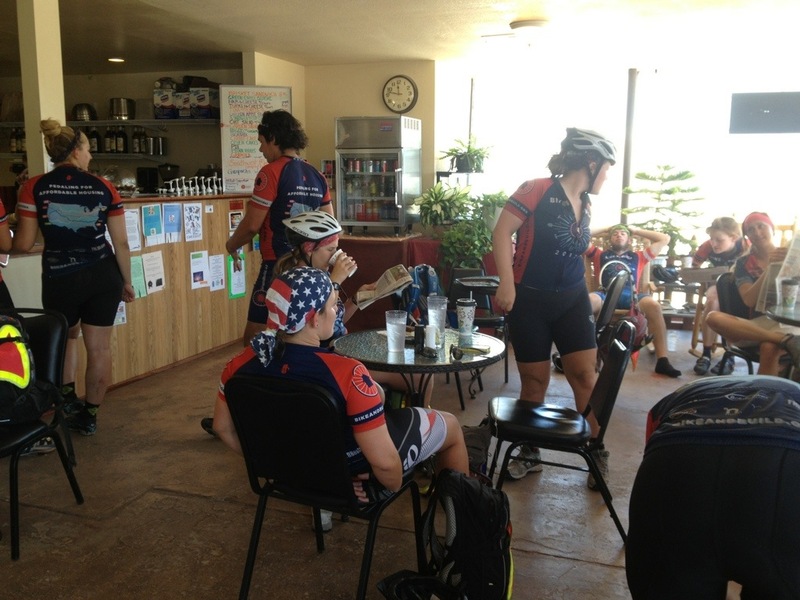 We encountered more touring cyclists this day than any other days combined! 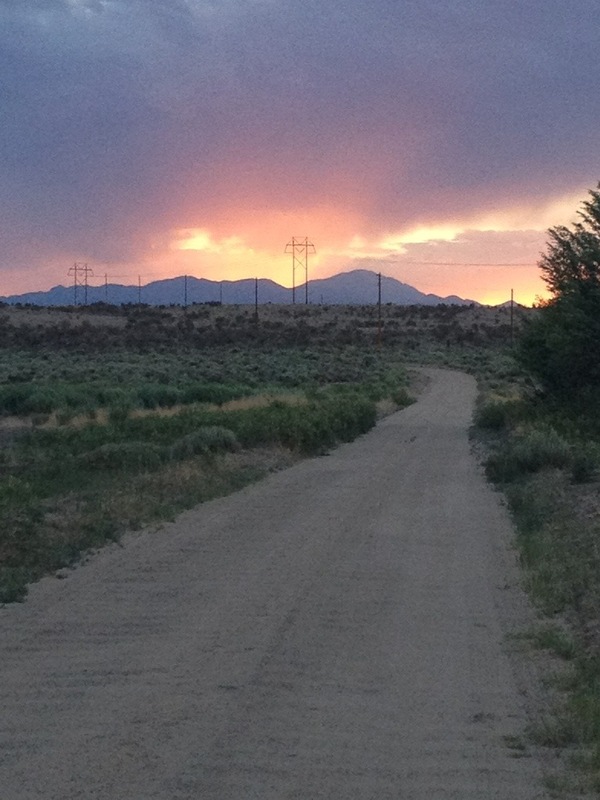 Colorado is a popular place for cyclists to trek through, many of them riding solo across the country or a few states. I can’t imagine how they are able to carry so many touring bags all over their bikes. We have a hard enough time getting ourselves up hills! I also can’t imagine doing a trip like this alone. I’d have no desire to do this without my phenomenal teammates!! These solo riders are pretty impressive individuals. We turned onto a road called Boone Rd. 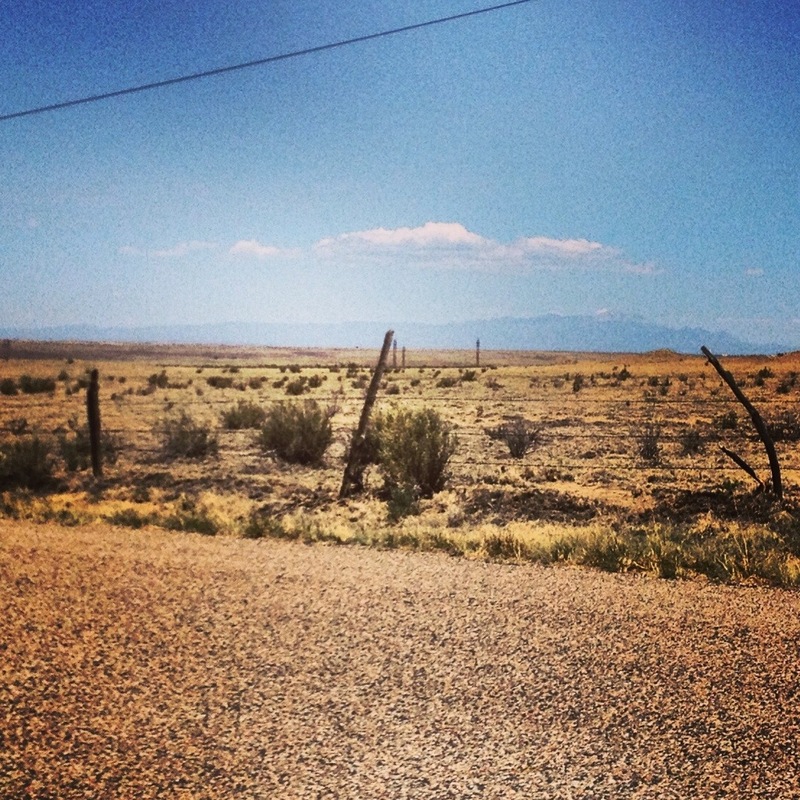 We all agreed that it was the most desolate, desert-like road that we had seen yet on this trip. We honored this moment by taking a desert-imitation photo. 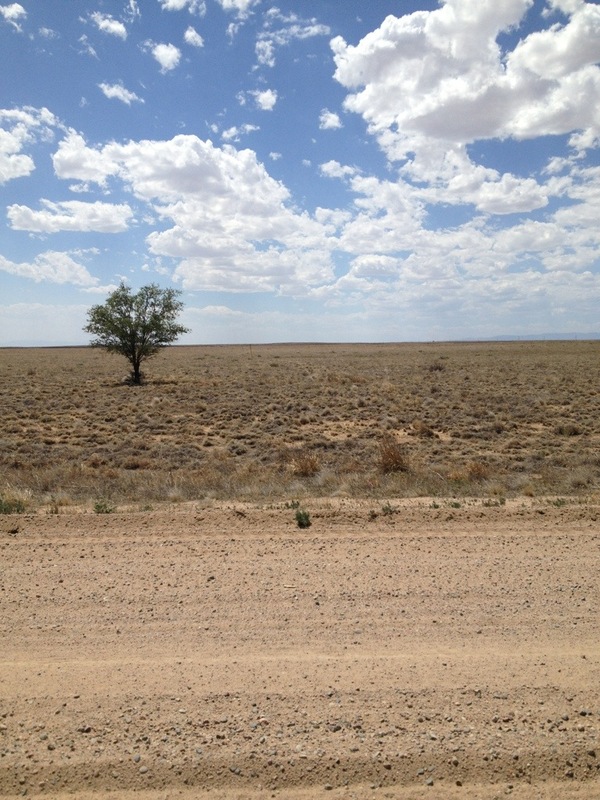 I’m a tumbleweed, Dietlinde is road kill, and Regular Ryan and Tim are two people overwhelmed by the hot, dry environment. It was the first day that we could see the Rockies!!!! They were way off in the distance, but they were visible, and that was all we cared about!! 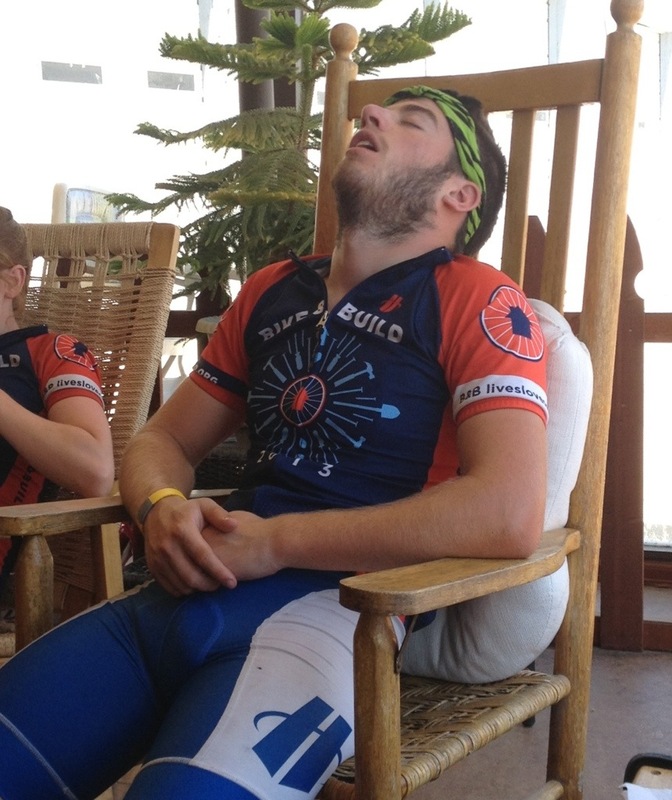 The ride post-lunch was absolutely brutal. We had to get through 12 miles of gravel. 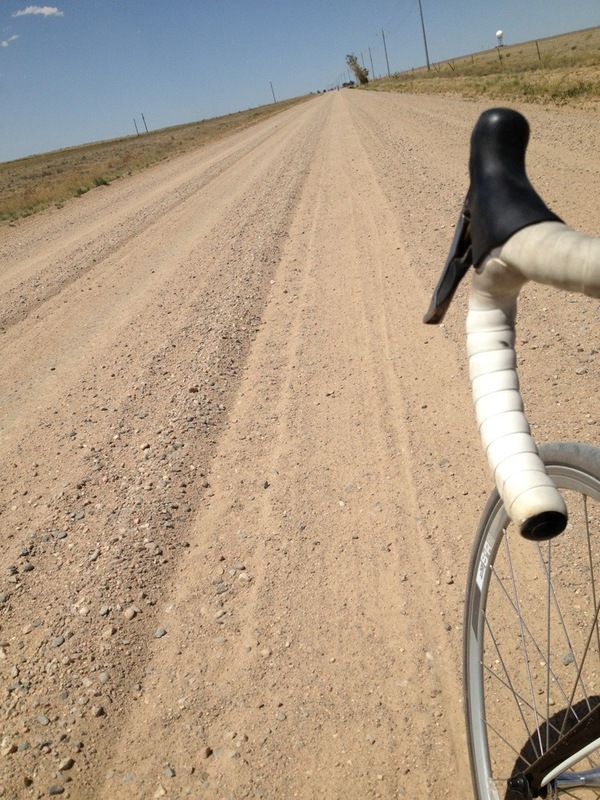 I’ve already mentioned this before, but road bikes are NOT meant for gravel roads!!! The wheels are too narrow and they lose traction, so you end up skidding out all over the place. We went at a snails pace of 6-8 mph, so it took us nearly 2 hours to complete 12 miles! By the end of the gravel road, the feeling was unanimous: that road SUCKED. 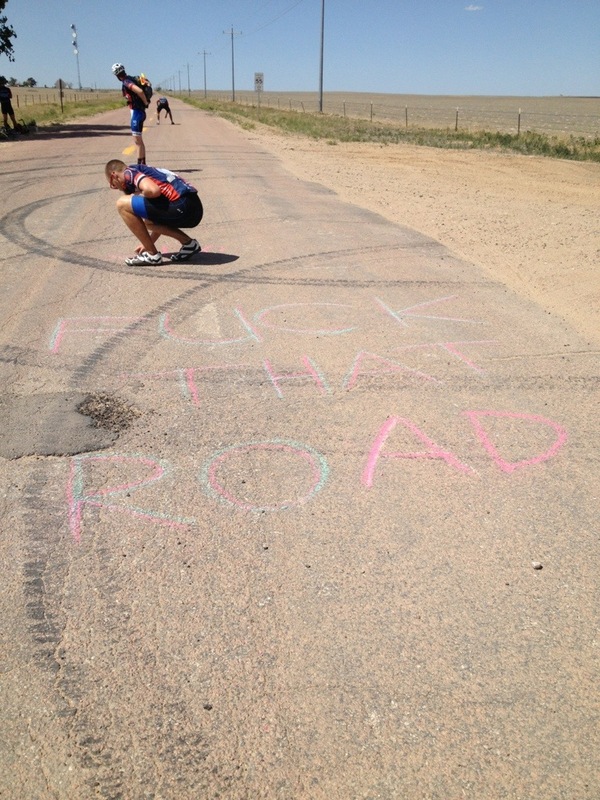 We were the first group of our team to get through it, so we wanted to leave a chalked note for others to both laugh at and agree upon after completing the road. Although this note contains explicit material, it most appropriately describes our sentiments at the time. I will blame my mother for teaching me to use this foul language. 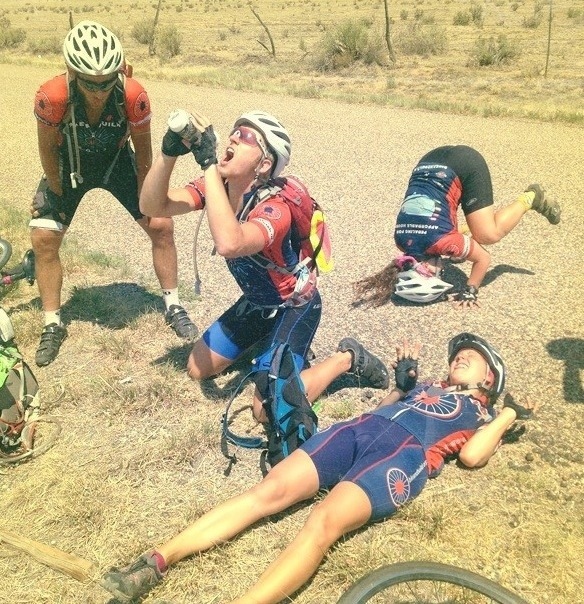 Despite the fact that we were all running low on water and feeling slightly dehydrated from riding bikes in the desert all day, we trooped onward. 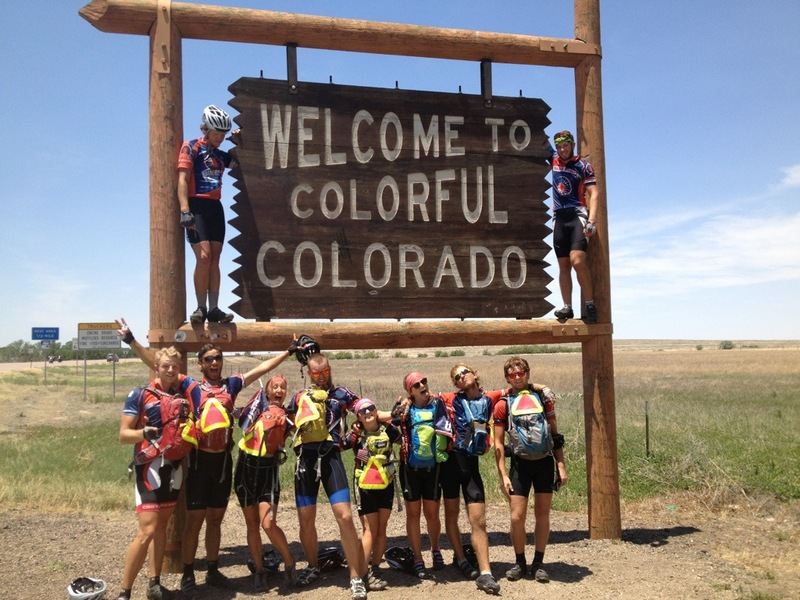 We hit a road that was PAVED, a gorgeous view of the Rockies, and gave us an awesome tailwind!! We were relieved to finally get to the campsite! The day ended with a beautiful sunset over the Rockies!!! This entry was posted in On the road! on June 27, 2013 by murphykg.